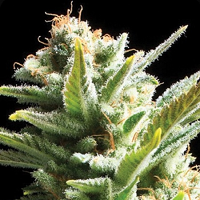 White Siberian is the combination of two elite clones of White Widow and AK47. 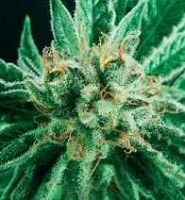 It is one of the best Cannabis strain ever produced. Its high CBD content, together with other Cannabinoids, have helped it gain its worthy fame for being very appropriate for medicinal uses. 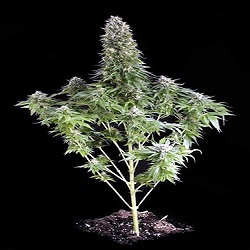 White Siberian is a vigorous, medium to high sized, Indica-Sativa hybrid with a very good indoor harvest. Extremely resistant outdoors, it is mature, with flowering completed, in 65 days –outdoors in October. 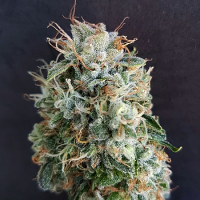 The result will stand out thanks to its shiny coat of resin, its deliciously powerful sweet aroma -with a touch of Indica bitterness, and its equally powerful medicinal effects. 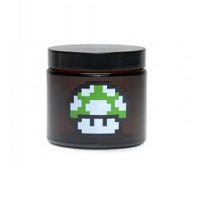 It is important to mention the medicinal qualities of this variety, thanks mainly to its White Widow genetics.